Let’s be real for a sec, no one has time for boiled green vegetables at a thanksgiving table. And that’s where roasting comes in! I feel like there’s always some overcooked vegetable, whether it’s green beans, sprouts or broccoli, that get’s overlooked everytime. Buuut, when you roast – it gives a whole new dimensions and everyone will be fighting for the last green bean! 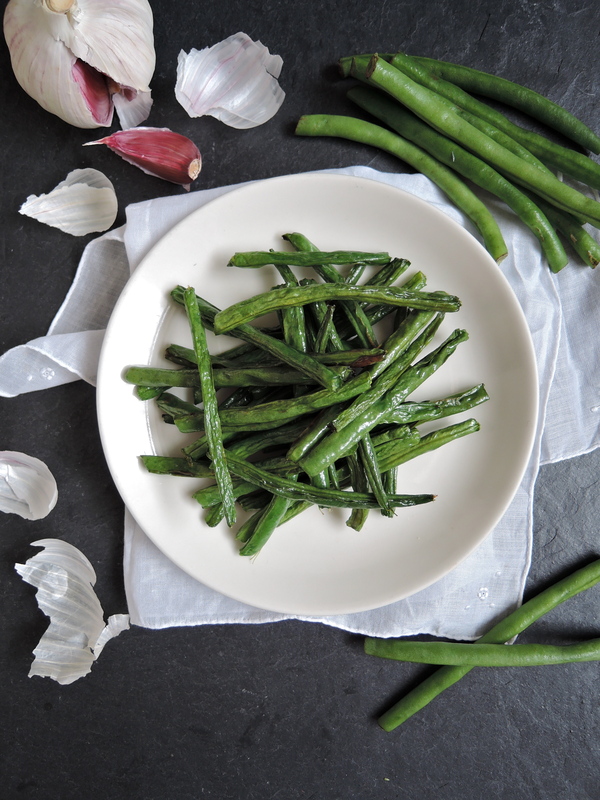 This is a simple guideline for how to roast green beans, but feel free to add any other flavours – I love adding garlic, but it’s fresh and zesty with some lemon juice and zest and moreish with some parmesan grated over! Coat the beans with olive oil and salt. Spread evenly on a baking tray (try to make sure they’re fairly separated so they can get crispy). Roast in the oven for about 15 minutes – turning halfway through. 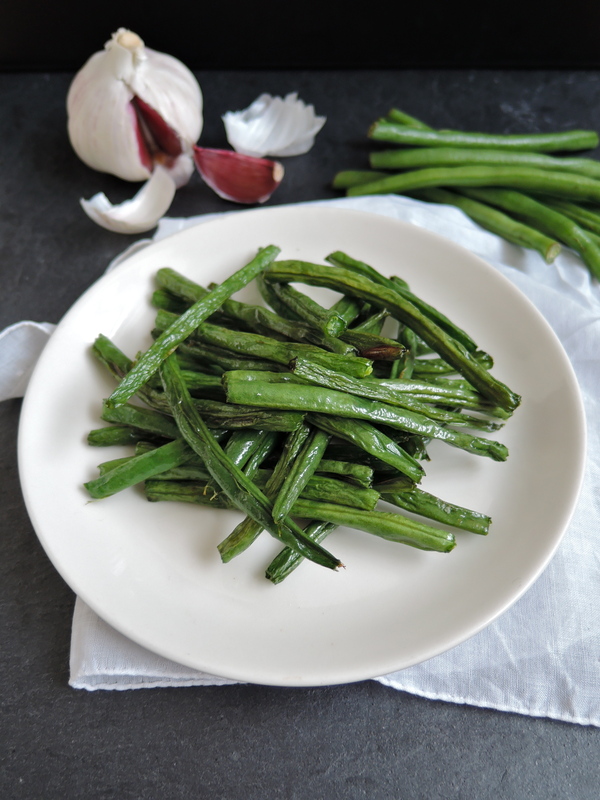 I love green beans and roasting does sound so much better! I roast the majority of my veggies and they are always so flavorful. These look so pretty! Thank you! I love roasting – so perfect for winter salads! You are so right! Overcooked vegetables are so boring. 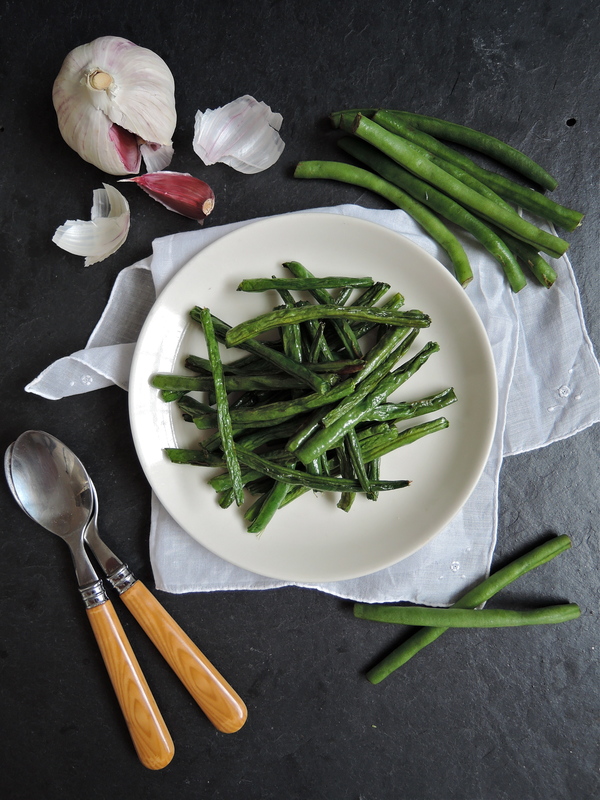 Thank you Evi – I agree with you that roasting is the best way to prepare vegetables! I love roast veggies – I never think to roast beans though! I bet they’d be fabulous with that slice garlic! This is a great take on the old favorite! Perfect side for a Wednesday.